Timeless design. Functional spaces. Affordable prices. Here at Moda Kitchens, we create beautiful indoor spaces tailored to your lifestyle. We pride ourselves on designing and installing solutions that strike the balance between beautiful design and smart functionality. 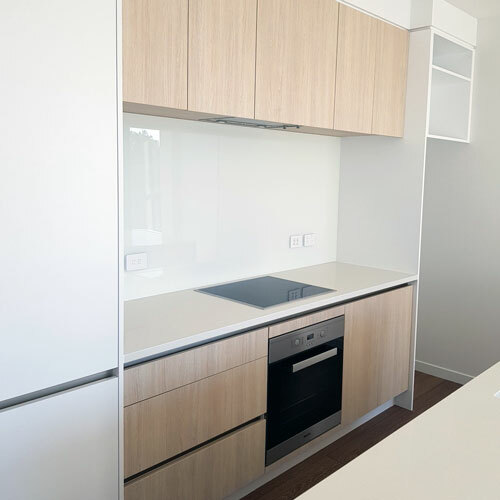 From custom-made cabinetry to solid benchtops and everything in between, we do everything we can to ensure you fall in love with your new kitchen. We’re firm believers that you shouldn’t have to make compromises when it comes to your kitchen. We always go the extra mile to keep our prices low while maintaining exceptionally high quality of our products and craftsmanship. The result? Gorgeous kitchens that won’t break the bank. The journey to your new dream kitchen starts here. Whether you’re carrying out renovations or building a new home, we’d love to hear from you. Our team of kitchen designers will work with you to understand your needs, provide expert guidance throughout the design process, and find clever ways to help you get the best value for your money. Pop into one of our Auckland kitchen showrooms or give us a call on 0800 466 632 to book your free 60-minute consultation. Stylish, affordable and built to last, our kitchens are the perfect solution for commercial projects. Trusted by some of New Zealand’s most recognisable homebuild and renovation companies, Moda Kitchens has the experience and professional expertise needed to deliver commercial kitchen solutions on time and within budget. We have extensive experience with fitting out residential apartments and know exactly what it takes to fulfil large-scale commercial builds. From the initial brief right the way through to project completion, we’ll work with you every step of the way to help you create a kitchen solution that meets the needs of your commercial project. 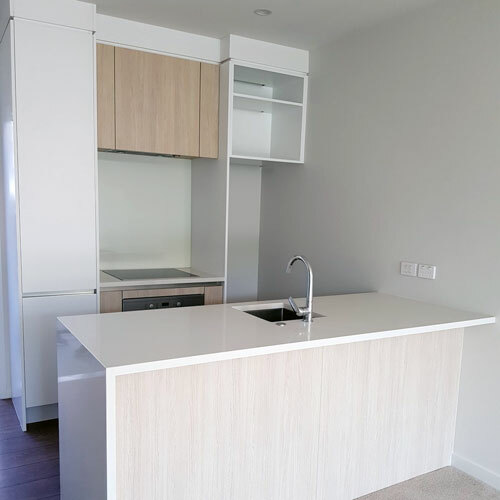 With a focus on creating beautiful, functional spaces at competitive prices, Moda Kitchens is your number one choice when it comes to commercial kitchen companies in Auckland. For more information about our commercial kitchens, please don’t hesitate to get in touch with the team today on 0800 466 632. I cannot tell you how amazing this experience has been. I walked into the Albany showroom and from there was guided by Modas unbelievably dedicated team. First was the design process, the measurements, the attention to detail, the double checking things and the follow up from the design team. Then signing off the strategic plan as to how it was going to roll-out, dates, preparations and each step was thoroughly thought through. It all fell into place perfectly. EVERYTHING! Moda’s team turned up and delivered all the cabinetry the day before as planned and your team were very considerate of our 100 year old weeping Elm and made sure they didn’t snap any branches when they parked the truck to unload the big items. The next day, on time your team installed bit by bit all the pieces together, and hour by hour they worked non stop. From 7.30am till 9pm at night. They were utter perfectionists. Every detail was taken care of. After they left the place was spotless. My Husband and I could not believe it. It has been an utterly streamlined experience and my Husband and I will definitely be recommending your company Moda to others. NEW WEST AUCKLAND SHOWROOM OPENING SOON!